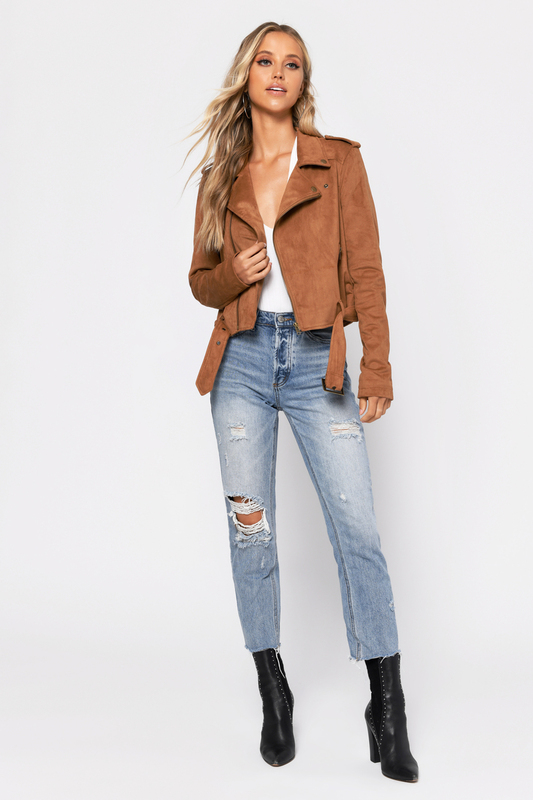 Check out Tobi's Ride On Faux Suede Moto Jacket Warm up with the Ride On Camel Faux Suede Moto Jacket. This vegan leather moto jacket features a fitted moto style, shoulder tabs, side zippers, faux suede, and a cute belt. 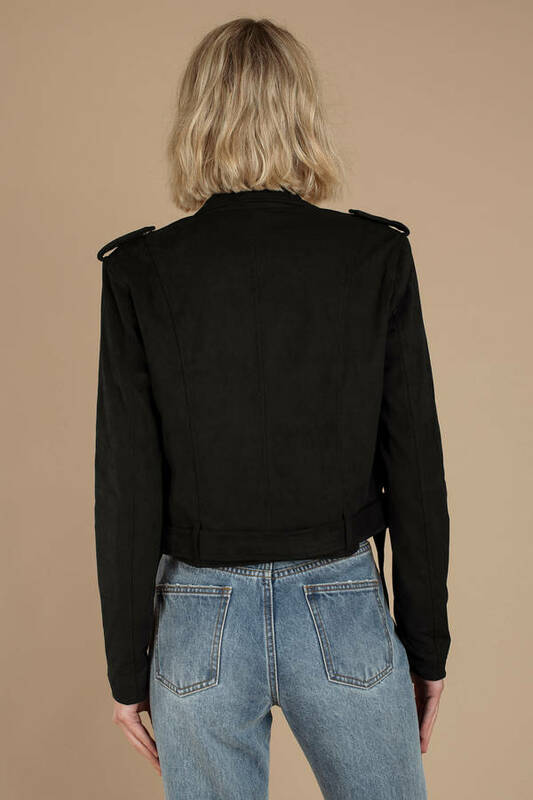 Pair this belted jacket with denim and a band tee. Warm up with the Ride On Camel Faux Suede Moto Jacket. This vegan leather moto jacket features a fitted moto style, shoulder tabs, side zippers, faux suede, and a cute belt. 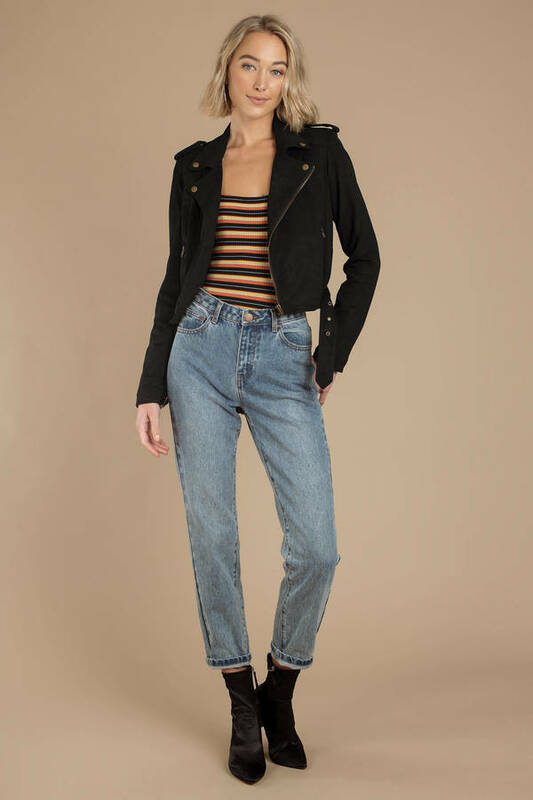 Pair this belted jacket with denim and a band tee. 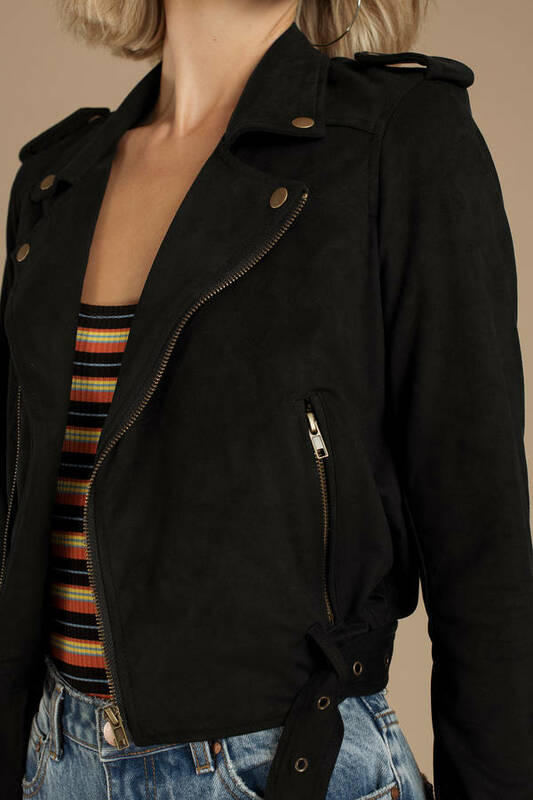 Warm up with the Ride On Black Faux Suede Moto Jacket. This vegan leather moto jacket features a fitted moto style, shoulder tabs, side zippers, faux suede, and a cute belt. Pair this belted jacket with denim and a band tee. Warm up with the Ride On Toast Faux Suede Moto Jacket. This vegan leather moto jacket features a fitted moto style, shoulder tabs, side zippers, faux suede, and a cute belt. 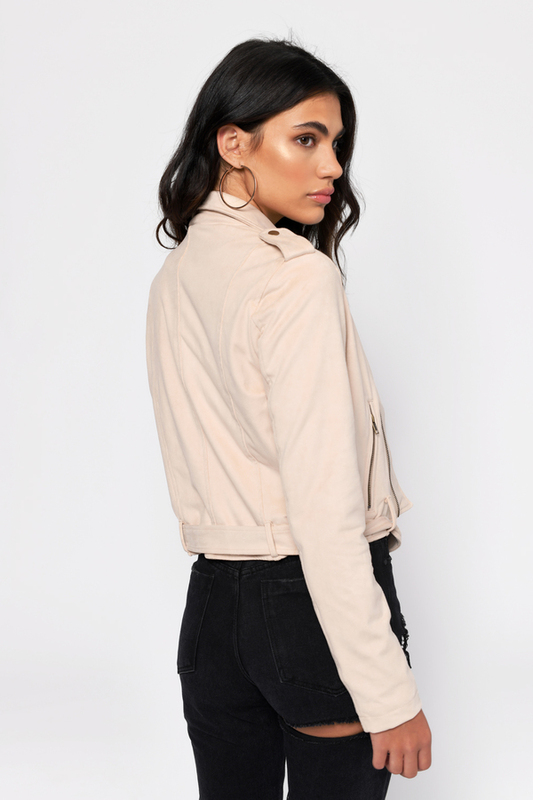 Pair this belted jacket with denim and a band tee. Warm up with the Ride On Blush Faux Suede Moto Jacket. 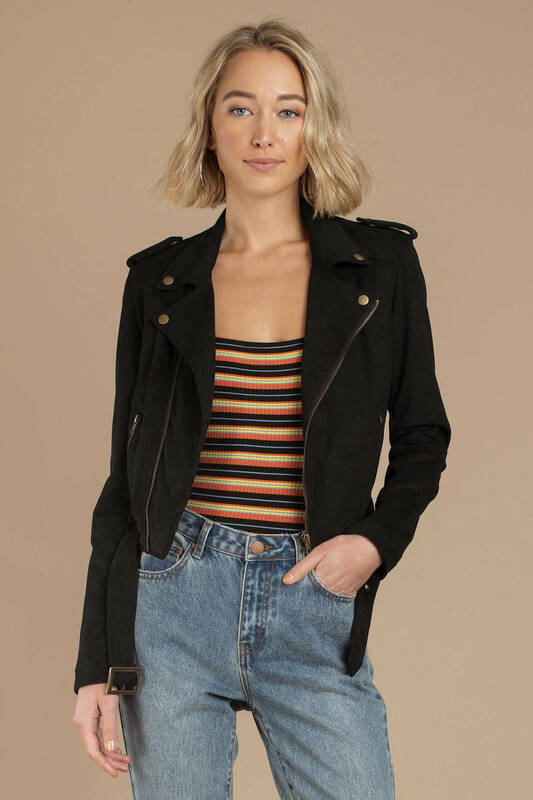 This vegan leather moto jacket features a fitted moto style, shoulder tabs, side zippers, faux suede, and a cute belt. Pair this belted jacket with denim and a band tee. Black, Camel, Toast modeled on a size Small.